ThemeFuse has decided they want to share three premium WordPress themes memberships with you, our loyal readers. What better way to get your day started? 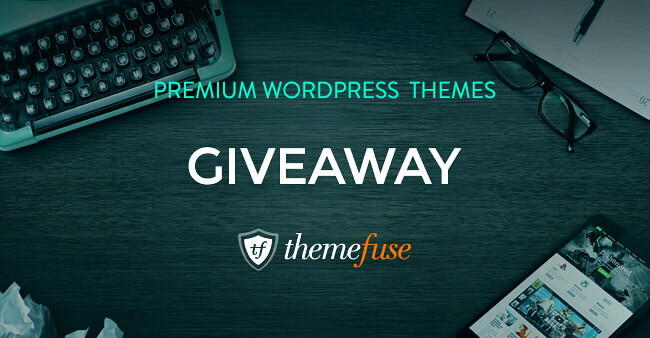 Each of the three lucky winners will get to choose and download a full WordPress theme professionally designed by ThemeFuse. WordPress is the most popular blog and website platform in the world, so chances are good you could really use some extra ways to spice up your site’s performance and style. Of course, free doesn’t hurt! The Contest will end on 26th November 2014. Be sure to stay in touch as the winner will be announced on Twitter & Email. Why do you want in? When it comes to blogs and even ecommerce sites, WordPress is the name to know. It’s free, powerful, customizable and stable. ThemeFuse has built a reputation for creating outstanding, polished, professional themes, and you’ll find their site is a one-stop resource for all your needs. You get professional design, and you get the features and performance that you need. You’ll also find that ThemeFuse has partnered with a hosting company now, which means you really do get it all in one place. Sign up for hosting through ThemeFuse and get a free domain name, and professionally handled theme installation. It’s really that simple. Find out more about how you can benefit. Take a gander at some of the awesome WordPress templates ThemeFuse offers. Perfect for travelers and personal bloggers, you’ll find this theme makes uploading videos and photos from your phone a snap. Responsive and beautiful, this WordPress theme is perfect for any kid-centered organization, including daycares and more. Powerful and easy to work with, this is a polished, professional theme designed to further your business’ success. Looking for a theme that fits a range of purposes? This is it. It’s ideal for a range of businesses, industries and more. Freelance professionals rejoice, this theme’s for you! Featuring responsive design, this gets your skills and professionalism in front of your clients. A responsive fitness WordPress theme that has tons of features specially created for a personal trainer website. What are you waiting for? Get your name in the hat and win one of these free ThemeFuse memberships.